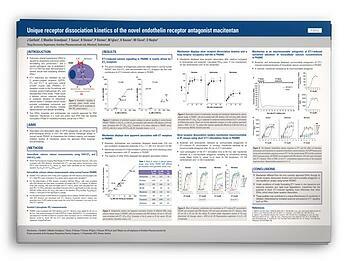 This Poster summarizes a study from the Actelion Drug Discovery Department, characterizing the inhibitory potency of the drug candidate macitentan on ETA and ETB4,5, two GPCRs involved in pulmonary arterial hypertension (PAH). Get this comprehensive White Paper to find out everything there is to know about the IP-One solutions for Gq coupled GPCR signaling studies. New to IP-One assays? Or already a user, but wishing to further enhance your experiments? These complete guides feature tips on performing and optimizing such assays for more significant results. Get them now!